A witness posted the videos online that have since gone viral. On 24 October, Facebook user Aryssa Fahmy posted the videos of the man masturbating in front of her as she was travelling to work the morning before. Aryssa initially thought that the man was scratching himself but felt something was off about the whole situation. The male witness claimed that the man had been touching himself from the Kelana Jaya station right up until the KL Gateway–University stop. According to the witness, the suspect had intentionally walked over from the other side of the train and stood in front of Aryssa. As he exited the train, the man then apparently glanced back at her. "I on the other hand looked at him as he took the escalator down. He stared back and looked away like he did nothing wrong," she wrote. 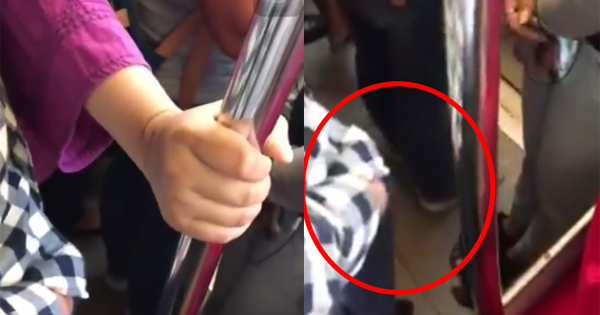 In a Facebook post on Friday, RapidKL revealed that the man had been arrested and handed over to the police for further action. According to The Star, Petaling Jaya OCPD Asst Comm Mohd Zani Che Din said that the suspect was remanded for three days. RapidKL advised the public to always stay alert: "We hope that other users will be aware of their surroundings when they are in the train, bus, or anywhere." The camera was spotted on 26 October. He left notes behind saying that he was "so tired". Lion Air flight JT610 was carrying 189 people when it crashed into the sea on Monday, 29 October.